Skylar Mays’ freshman season at LSU was a tough one. Like any first-year player, Mays struggled adjusting to major college basketball. He averaged just eight points per game while shooting 41 percent from the field, including 33 percent on 3-pointers. Mays made more than two turnovers per game, while handing out three assists per contest. Moreover, Mays was on a Tigers team which was one of their worst in 50 seasons. LSU had a 2-16 Southeastern Conference record with a majority of those defeats by double digits. Tigers coach Johnny Jones was fired at the end of the season. Enter Will Wade, the replacement for Jones. Wade has remade the LSU roster quite quickly. In fact, the Tigers enter their game against Texas A&M at Reed Arena in College Station on Wednesday (8 p.m. Central, ESPN2) with a 16-3 overall record, including 6-0 in the SEC. The 16-3 record is LSU’s best in 19 seasons. The Tigers’ 6-0 conference start is just their third in the past 50 seasons. 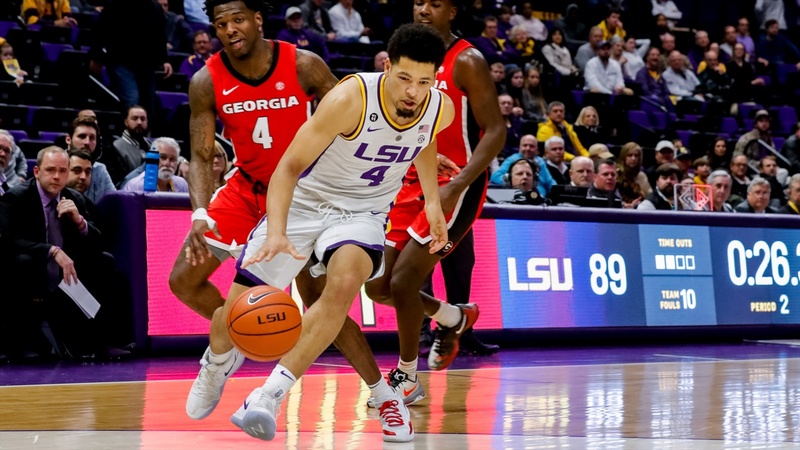 The lone holdover from the Jones coaching tenure is Mays, who is one of just two rotation players not performing in his first season in a LSU uniform. Point guard Tremont Waters is starting for a second year under Wade. Mays may not be one of the most talented players in the Tigers’ starting lineup, but he is definitely the most valuable in the eyes of Wade. Mays scored nine points in less than 30 seconds to begin LSU’s amazing late-game comeback at Missouri last Saturday. “Skylar’s poise and calmness helped us stay together Saturday,” Wade said. “He’s earned everything. Everything he gets, he deserves. You don’t know how hard a worker Skylar is. You never bet against consistent behavior. Mays, whose hometown in Baton Rouge, completed his high school career at Findlay Prep in Las Vegas (Nev.). Prior to transferring to Findlay, Mays led University High School to back-to-back state titles as a sophomore and a junior. So, Mays is accustomed to being part of a winning basketball program. His production has increased each year at LSU as one would expect. Mays is averaging 14 points per game which shooting 49 percent from the field, including 38 percent on 3-pointers. He has made 87 percent of his foul shots. Mays almost has twice as many assists (43) as turnovers (22). His top games for points, made field goals, made 3-point field goals and made free throws all have come this season. He scored a career-high 24 points in the victory at Missouri. “For the first 37 minutes against Missouri, I felt that this was just one of those games you have,” Mays said. “I told the guys in the middle of the first half that this was going to be an ugly one. I told them not to worry about their stats. We were going to have to win a different way. Now, LSU goes back on the road against another second-division team. The Tigers have won three consecutive road games following a nine-game losing streak in such contests. Mays understands that every game away from the PMAC will be challenging.